Did you grow up eating Tortitas de Camarón? I grew up in El Paso and my mom owned a small neighborhood grocery store named Soza’s Grocery. We used to sell whole dried shrimp and camaron molido (dried shrimp powder) and I remember we had many customers who would buy them during Lent. I always wondered what they made with them. My grandma and my mom were not fond of seafood, and besides tuna fish sandwiches we didn’t eat much seafood growing up. 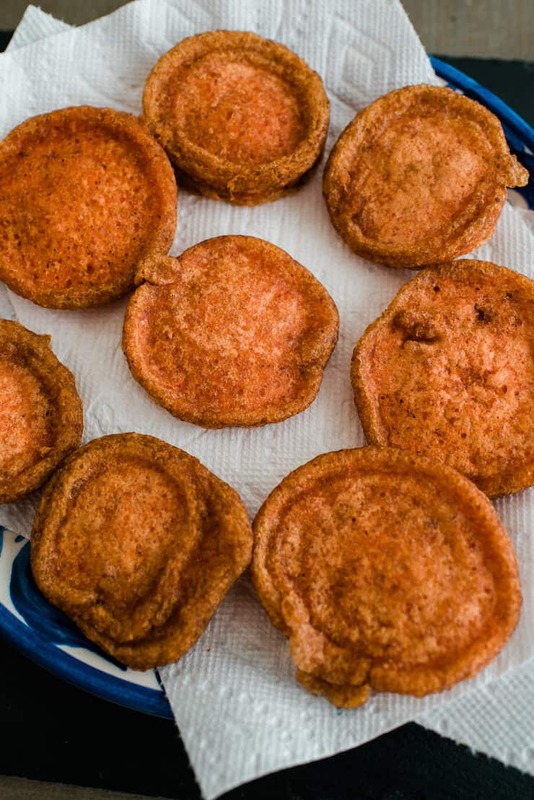 These tortitas are similar in texture to the breading of a chile relleno. Light and fluffy patties made of dried shrimp and whipped eggs. They are very similar to shrimp fritters and crab cakes, but airy in texture. They are like sponges and soak up the red chili sauce that is also a big part of this dish. 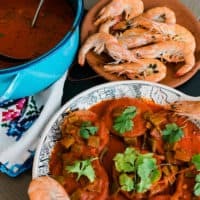 This red chile sauce is similar to our family red chile sauce to make enchiladas, but this sauce is made with guajillo chiles, one of the most popular dried chilies in Mexico. 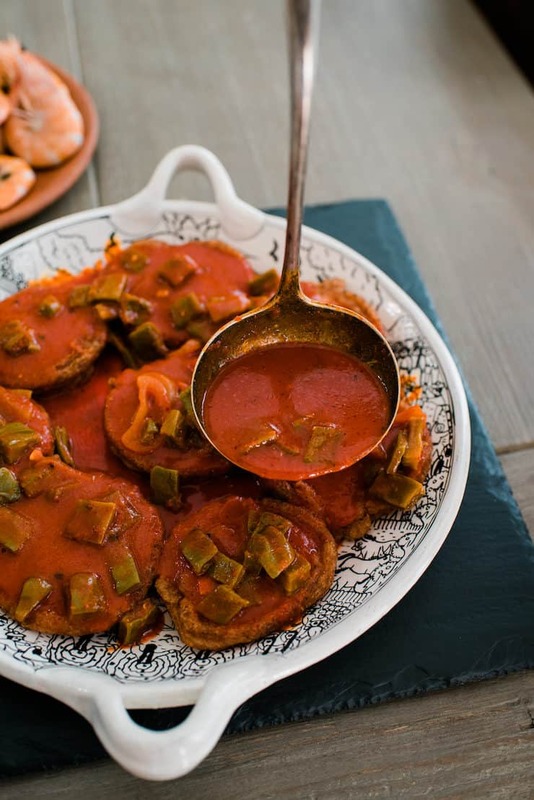 The slightly spicy guajillo chile sauce is combined with cooked nopales making this delicious served on its own. 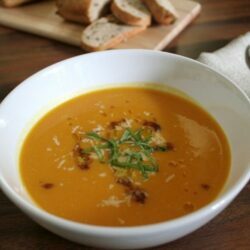 You can also add cooked shrimp to this dish for a complete meal. 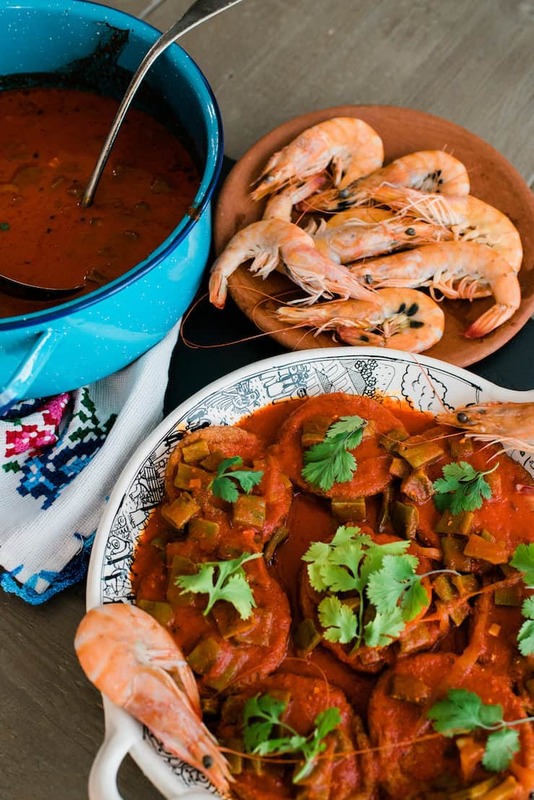 This dish is very popular in Mexico during Lent and Holy Week. 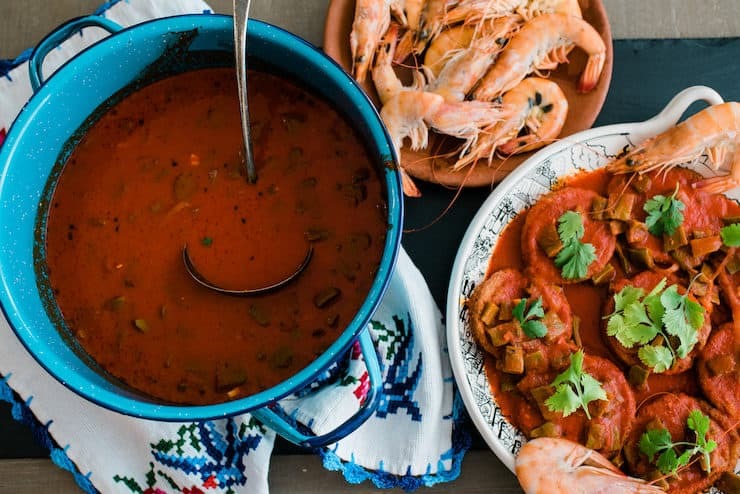 As I mentioned, I did not grow up eating seafood or this dish for that matter, but thankfully my friend Alva showed me how to make her beloved family recipe to share with you all. 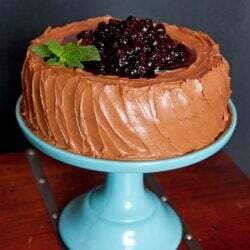 I have another friend Anabel who also shared her family recipe with me and they are both very similar. I’d love to hear from you, did you grow up eating this dish? Place diced cactus in a stock pot with 4 cups of water and onion, and bring to a boil. 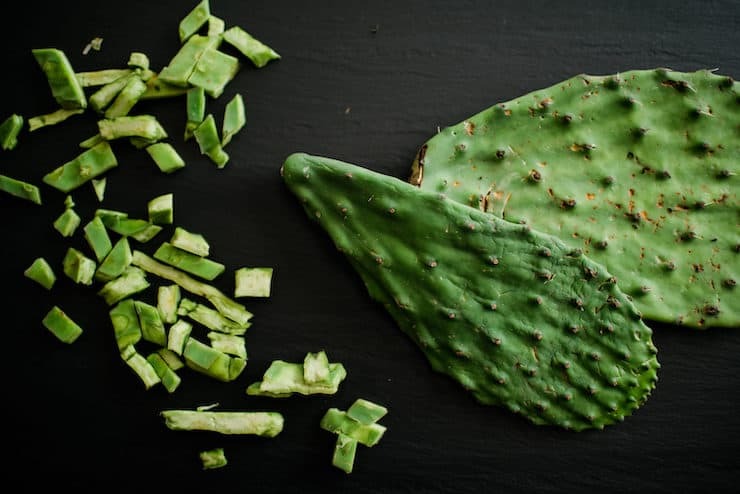 Lower heat to medium and let nopales cook for approximately 20 to 30 minutes. Remove from the heat, discard onion, drain and rinse nopales with cold water and set them aside. Add the chiles to a large pot and add enough water so they are just covered. Bring water to a boil. Lower the heat, cover, and simmer for about 10 minutes. Drain cooked pods and allow time to cool down before blending. Discard water. Fill blender with 1/2 cup of water, chile pods, garlic, and salt to taste. Blend until smooth. Add more water, if needed. Strain sauce through a fine sieve to remove skins and seeds; discard skins and seeds. 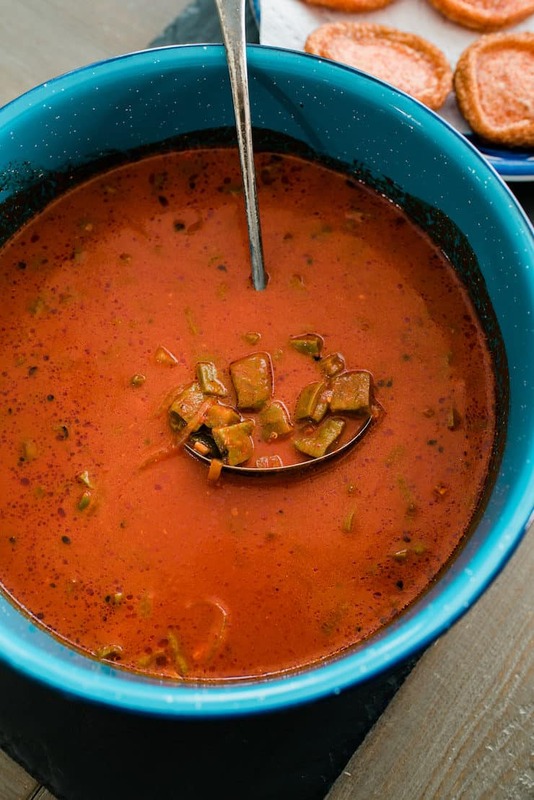 In a stock pot, add olive oil and lightly cook nopales for about 1 minute and add red chile sauce and bring to a boil. Lower heat and simmer on low and add oregano and season with salt. Using an electric hand mixer beat the egg whites on high speed until soft peaks form. In a separate bowl, mix together the egg yolks and powder shrimp. Carefully fold the egg yolk mixture into the egg whites being careful not to mix too much so the egg whites don’t fall. Heat vegetable oil in a large skillet over medium heat. Take a spoonful of the mixture and place it in the hot oil. While cooking mold into a patty using a wooden spoon. Spoon some of the hot oil on the sides of the patties, to cook evenly. Fry until golden brown about 2 to 3 minutes each side, turning once. Drain on paper towels. Change paper towels frequently to absorb excess oil. 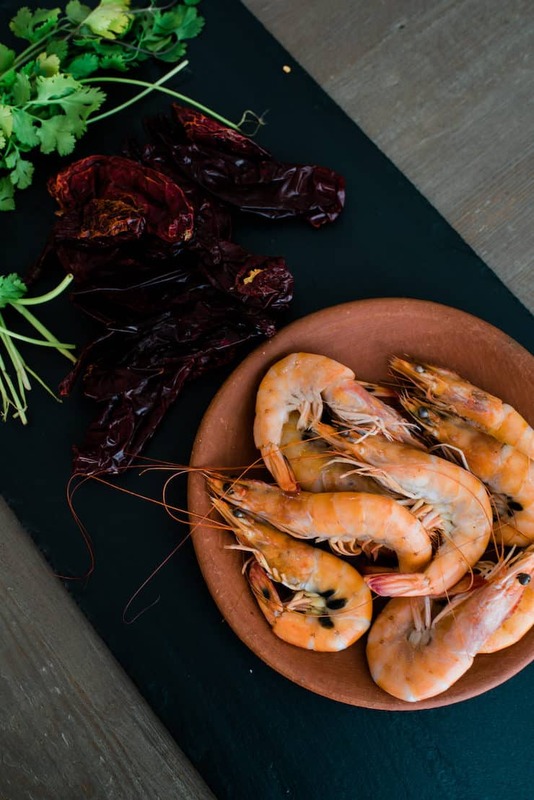 Arrange the Tortitas de Camarónon on a serving platter and drizzle with red chile sauce with nopales and serve with cilantro and cooked shrimp, if using. Hi my name is Consuelo Navarro. I was surprise to see this recipe on Tortas de camarron. I have a traditional for Good Friday, “las 7 casuelas” and this is one of the main dishes that I prepare. There are a couple of different steps I do but the outcome is the same and my family loves it except for my children. This was a Lenten staple for us, growing up. My mom used dried, ground shrimp, onion, & cilantro, & mixed it in to the egg batter. Poor woman had to prepare the patties in batches. I hated cilantro but loved onions, nopales & chile colorado. My brother hated onions & nopales, but loved cilantro & chile colorado. She & my dad loved everything. I’m surprised she made this many accommodations, since that wasn’t the norm for her. But Lent, and especially Holy Week, were very important to her. Thanks for the recipe. 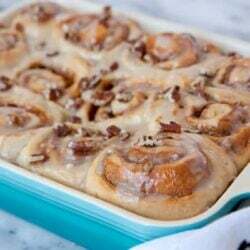 I’ve never made them myself, since cooking was not my forte as a kid, and I never asked for the recipe before she died. Now I’ll make it for my brother this week, and surprise the heck out of him!